"After a short and successful stop in Greece with two crowded shows in Athens and Thessaloniki, Blood Ceremony is currently touring Ireland and the UK with label mates Uncle Acid and the deadbeats, embarking on a "Wasteland Tour". 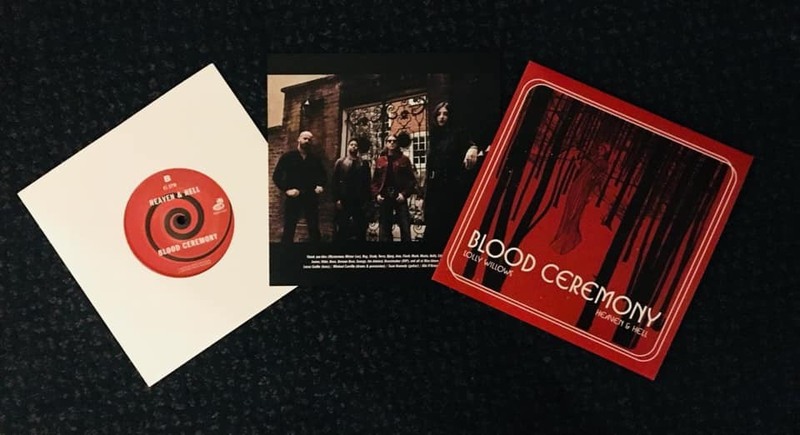 Blood Ceremony is also returning with promising, fresh material and a single called "Lolly Willows" back with an excellent, heavy choice in the form of a Who cover "Heaven & Hell"! Catchy riffing, groovy flute and that heavy edge which is Blood Ceremony’s well-kept secret, making it a wicked brew that is certainly a promising teaser of what is about to come on their upcoming LP record. This offering is exclusively available at their shows and will be available later on in early March, through Rise Above Records, make sure to follow them on social media to get the latest news!" 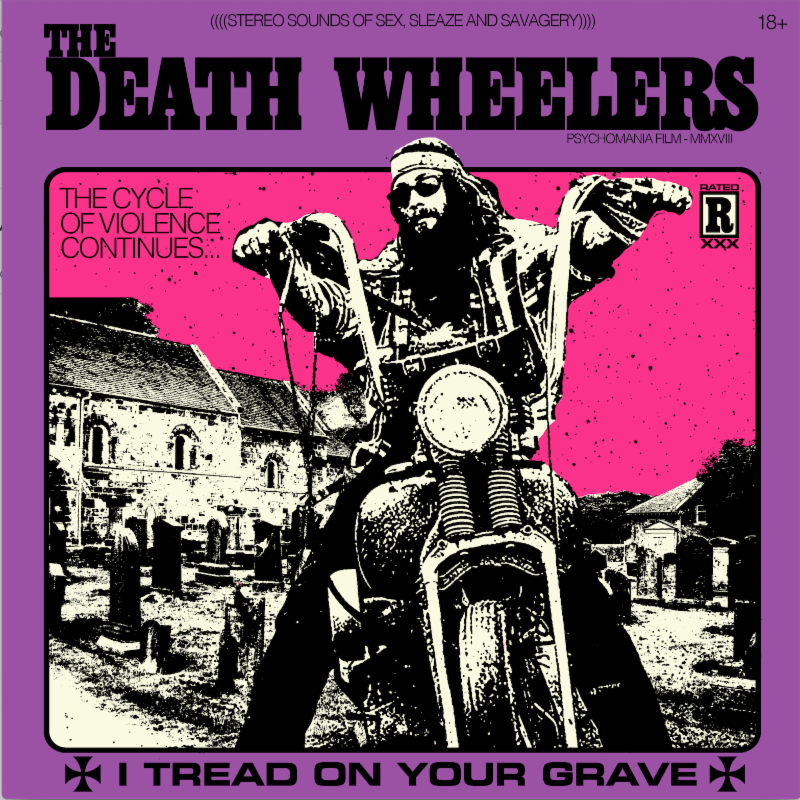 Heavily inspired by the aesthetics and ethos of bikesploitation movies such as The Wild Angels, Werewolves on Wheels and Psychomania, The Death Wheelers seek to glorify this unsung era of movie making through their sordid sounds. Taking musical cues from rock's greats such as Davie Allan, The Cramps, Motörhead, The Stooges and Grand Funk Railroad, the Death Wheelers perpetrate the tradition of heaviness by making zero compromises when it comes to laying down the groove. Through their bare bone, stripped down, jammy approach of their very own brand of sleaze n' roll, this instrumental Canadian quartet pushes the listeners to their deepest, filthiest carnal/sexual desires. Florence, Italy-based occult rock mystics PSYCHEDELIC WITCHCRAFT will release their Sound Of The Wind full-length in the US on February 27th via Listenable Records. Released to critical-acclaim in Europe late last year, Sound Of The Wind was captured at Elfo Recording Studio and mastered by Brian Lucey (Ghost). 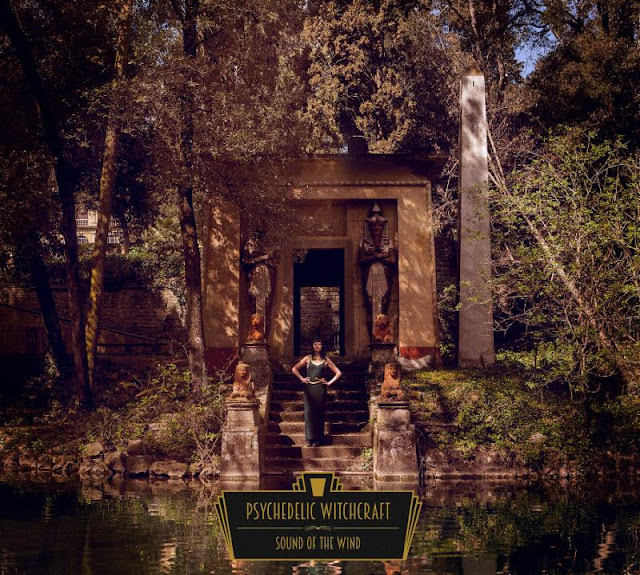 Forged in 2015 by vocalist Virginia Monti and heavily influenced by the ancient doom and blues teachings of Black Sabbath, Led Zeppelin, Jefferson Airplane, and Free as well as of the obscure side of the Italian music scene long ago led by Goblin and Ennio Morricone, PSYCHEDELIC WITCHCRAFT's meticulous meld of blues and classic hard rock with in-depth occult-themed lyrics and imagery is at once vivid and all-consuming. Since their inception in 2010, the ascent of Jess and the Ancient Ones has been astounding. 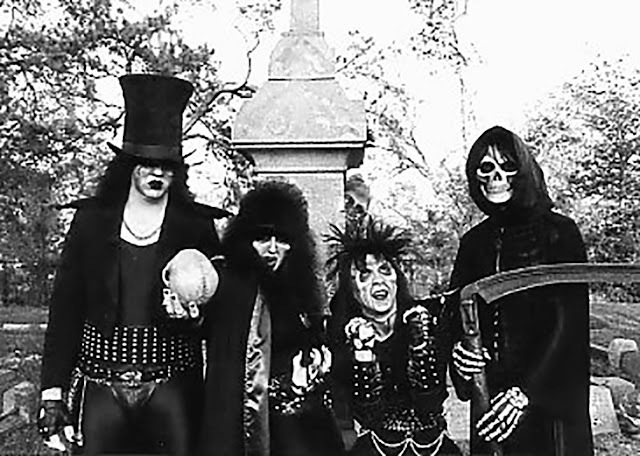 With a chart-toppingly successful debut album in 2011 and the occult surf metal EP Astral Sabbat (2013) under their collective belt, the group won over many new followers on their North American tour with King Diamond last winter. Since then the collective have thinned their herd from seven to six, and spent months with minds locked inwards together, perfecting their craft and cultivating what was to become their second album. This autumn equinox it was signalled that the hour of the Second Psychedelic Coming had come at last and work on the album complete. And what rough beast it is! Second Psychedelic Coming: The Aquarius Tapes will be released on CD, double LP and digital formats on December 4th. Thomas Corpse, responsible for songwriting duties, comments on the great work, " We have been following our natural need to explore different forms of musical impression, and so again our sound has evolved one step further. I must say that the change is most welcomed, for we are not the likes who like to stay in a strangling doctrine of genre rules of any sort. Music should never be composed in order to please a crowd. The most important thing is that the composing element is pleased with the outcome, for only then it may also bring true joy to the ears of the listener. This album has its errors, and we want them to be there. They are us. They are the sound of our current state." First single cut off the album is the ode to Albert Hoffmann, In Levitating Secret Dreams, to which there will also be a suitably mind-bending music video by Romanian artist Costin Chioreanu. This dark keyboard-driven occult garage rocker will also be available on a limited vinyl 7" on November 6th. "The album title can be seen as a bridge between the past and now. Some thoughts, words, and poems from the Aquarian age are bound to everlast and inspire generations to come. Their core always being essentially the same. Love and freedom", continues Thomas Corpse, "Often in history that message has traveled from characters that society has announced to be ill, corruptive, and dangerous to common good. Of course the rich in their ivory towers want to silence all of these poets and warriors, but luckily they never succeed. Here be nine songs with that same old message. Feed your minds." Black Capricorn was grown on salty soil of Sardinia. 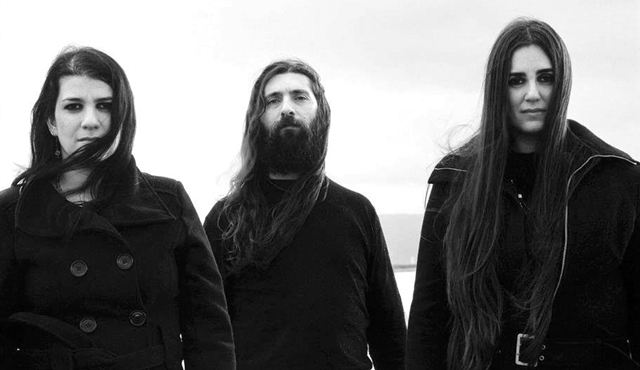 This extravagant psychedelic doom trio consists of two ladies on rhythm section (Virginia – basss, Rakela – drums) and frontman singing guitarist Fabrizio, they work together tirelessly since 2008 making their best on dark path. 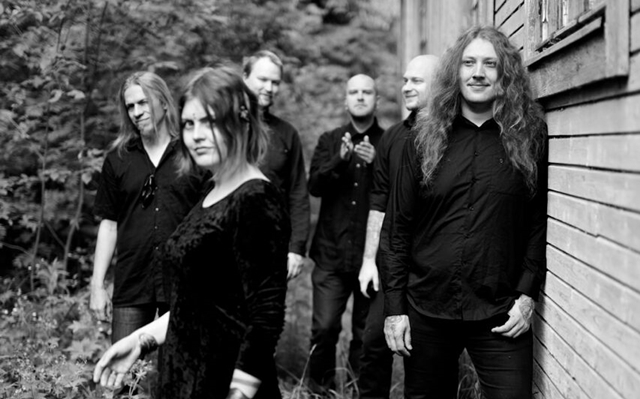 After two full length albums “Black Capricorn” (2011) and “Born Under the Capricorn” (2013) the band has slightly changed direction and turned to more dirty and dark aspects of Capricorn on their third release “Cult of Black Friars”. Where do they turn their feet next time? Can we predict it? After hours of meditation we done this telepathic interview with Fabrizio, and I received some answers on my questions. Ciao Fabrizio! How are you? What's new in Black Capricorn family? Black Capricorn has a new record - split album with Bretus. And there's a new song "The Hound of Harbinger God", did you record it exclusively for this release or is it left after "Cult of Black Friars" album? It was written for the split with Bretus, when our friends asked to do a split we have already records the album but I had some more riffs so it was good to record for the split. Songs for such small releases must be strong ones as the band has to show it's best with limited space of just one song. So can you say that "The Hound of Harbinger God" best of Black Capricorn in this moment? Ripper is an old school heavy band which was born in 1977. The band played only a handful of occasional shows and record one full length album “…And The Dead Shall Rise” (1986) with songs lyrics dealing with living dead stories and other dark subjects. Ripper was split somewhere in 1990 and reborn about 19 years later by it's only original member - guitarist Rob Graves. Rob has recorded with some help of guest musicians second album “The Dead Have Rizen” under Ripper name and now he returns with a new work "The Third Witness" written “in the vein of the first 4 Sabbath albums”. A bunch of dark and catchy retro styled heavy hits, driving energy and guest appearance of Steve Sylvester himself - that expects you on this album released by Black Widow Records on 2015. Hi Rob! It's said that Ripper was born in 1977! It's hard to believe! Hello! The band was founded by bassist Sadie Paine in 1977, and yes, that was long ago. She, and high school friend ( and drummer ) Animal Axeman created it together, actually. What did drive you to play heavy metal? What inspired you to write? All of my major influences pretty much came from the 70's: Hendrix/Trower/Montrose/Purple/Sabbath/Heep/Kiss/Cooper/Priest etc. With perhaps the darker of those inspiring the themes I've used, and currently use. Singer/songwriter Emma Ruth Rundle has been quite busy since the release of her stunning debut solo album Some Heavy Ocean in May of last year. She's toured the U.S. and Europe several times on her own, as well as alongside her band Marriages, who recently released their sophomore effort Salome to great critical acclaim. Now, Emma Ruth Rundle will embark on a North American tour as a special guest to Alcest for four weeks in September and October - check out the tour routing below. Emma Ruth Rundle started performing her work in 2007 and the following year, she was drafted into the monolithic post-rock supergroup Red Sparowes. Touring the world playing the Sparowes’ epic brand of instrumental heaviosity sparked a fruitful musical connection with fellow Sparowes guitarist Greg Burns. 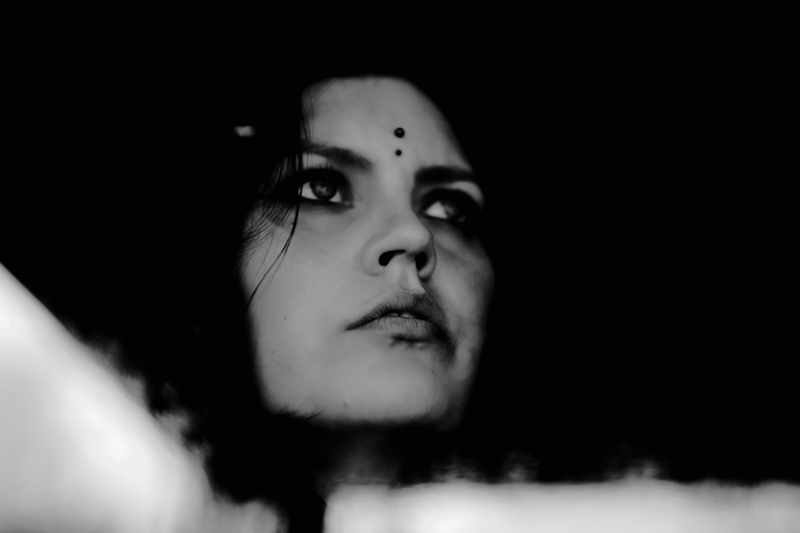 When that band commenced a well-deserved hiatus in 2011, she and Burns (on the invitation of Russian Circles), instigated a new group, Marriages, who released a stunning debut mini-album, Kitsune. Meanwhile, Rundle and friends reconvened briefly in 2011, while solo she recorded an album of experimental guitar compositions. What followed was a “dark, difficult time”, and with that, in May of 2014 Some Heavy Ocean was released on Sargent House. The album has been hailed as "stunning" by the AV Club, "intense, hypnotic folk" by Stereogum and "one of the best records of 2014" by Music & Riots. This past April, Emma Ruth Rundle and her band Marriages released Salome, a 9-song monolith that was hailed as "immediate, but also timeless" by Stereogum. Propulsive, frequently iridescent, the compositions on Salome are confident and evocative, the sound of a band focusing their strengths to great effect. Throwing open the curtains on not only their sound but on their songwriting as well, Emma Ruth Rundle alongside members Burns and new drummer Andrew Clinco seem perfectly at ease scaling anthemic peaks and heartbreaking valleys, often in a single composition. Salome finds Marriages fully embracing their skill at crafting timeless songs with chillingly epic results. Marriages just completed a full U.S. headlining tour, and prior to that, a European tour where they received rave reviews from performances at Roadburn Festival as well as the following three weeks as support to Wovenhand. Jess And The Ancient Ones… Is it necessary to say something more about this band? This occult psychedelic rock outfit has earned a proper reputation through five years of activity, and all we could expect from them is another proper record as they have only one self-titled full length Lp till now (and a handful of smaller releases). My personal reason for this interview is forthcoming gig of Jess And The Ancient Ones in Moscow, but from this interview with Thomas Corpse (guitars) you also could learn few things about forthcoming second album of the band which will be available really soon. Hail Thomas! How are you? What's state of Jess and the Ancient Ones at this moment? Hi there! I’m doing just fine and dandy, thanks for asking! We’re waiting for the album artwork to be completed, and at the same time we are preparing for the coming shows. The summer was insanely busy, but it’s all been worth it. “Second Psychedelic Coming: The Aquarius Tapes” is now ready to be pressed, and it’s sounding sweet, hahah! You'll play in Russia on September 25th, do you already have a set-list for this gig? Will our listeners get new exclusive tunes from the band? Indeed we do have the set-list already planned. It will be a nice cut through all of our releases, and there are three songs from the upcoming album as well. One of them we never have played before, so Moscow will thence be the first and the magical! Jess and the Ancient Ones have released last record "Castaneda" in 2014, it is Ep with two songs. What does attract you in teaching of Don Juan?